With Max Scherzer now in the fold, the Washington Nationals “super rotation” is something that should only be tampered with should an irresistible deal slide across GM Mike Rizzo’s desk. In adding the former Cy Young Award winner to an already formidable rotation, the Nationals were awarded with the luxury of having too many quality starters. The old saying, “you can never have enough pitching” should be taken to heart by Rizzo while fielding trade inquiries. Even with two starters entering their walk season, Washington has all of the leverage in trade discussions, and can rightfully ask for anything the desire in a potential trade. In a rotation lead by Scherzer and capped by Gio Gonzalez, the Nationals don’t need to trade away anyone, and would be perfectly content with standing pat. However, there is always a chance a team desperate for an ace presents a package too good to say no to. The Red Sox are obviously one of the teams that could assemble such a package, considering their depth in both the minor and major league. 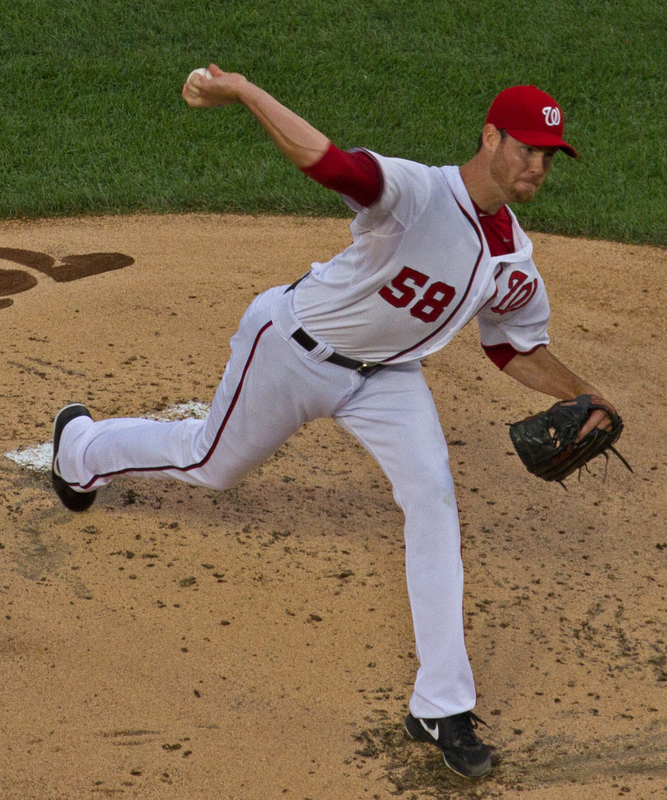 Jordan Zimmermann or Doug Fister, both of whom finished the 2014 season in the top 10 in NL Cy Young voting, would tie Boston’s rotation together nicely. However, the pair of right-hander’s expiring deals should make Ben Cherington reluctant to trade away the top tier talent the Washington would ask for. Conversely, young right-hander Stephen Strasburg should be a name seriously pursed by Boston, despite the haul it would take to land the former first overall draft selection. Whether it’s Fister, Zimmermann, or Strasburg, any deal for a Nationals starter will hurt. With that being said, the Red Sox’ deep system allows them to seriously consider meeting the Nationals asking price. While parting with the likes of a Mookie Betts or Blake Swihart would be ill advised for a one-and-done starter, Boston should weigh the pros and cons of somewhat depleting their farm system for a elite arm like Stephen Strasburg. Tweet of the day: Hopefully this can be used for the Sox offense.